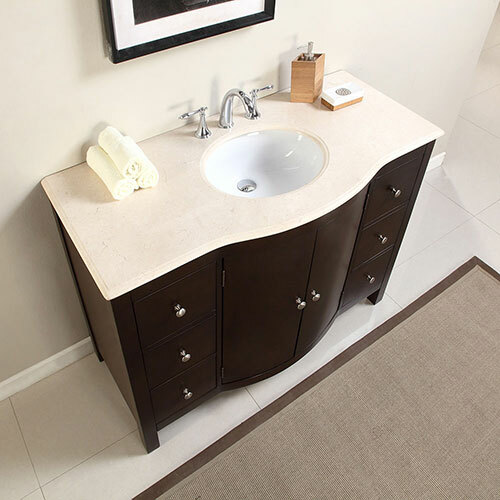 Contemporary in style, the 48" Nicoli Single Bath Vanity boasts a sophisticated style with its Espresso finished cabinet and Cream Marfil Marble top. 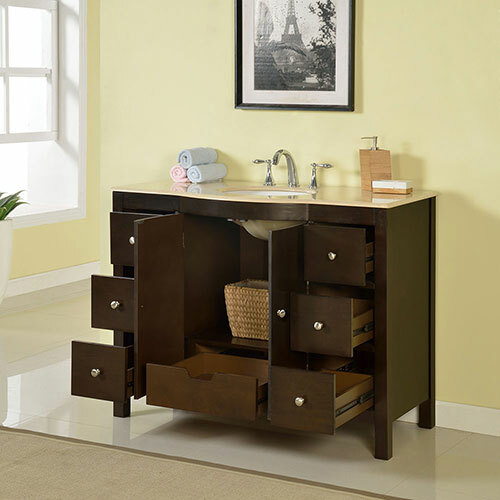 The cabinet has a deep finish that is adorned with brushed metal knobs, accentuating the seven fully-functional drawers and double-door cabinet of storage space. The beautiful top is accompanied by a white ceramic undermount sink and is pre-drilled with three faucet holes. Faucets are not included.